Seventeen fixed-route bus services wind throughout the Chattanooga area. 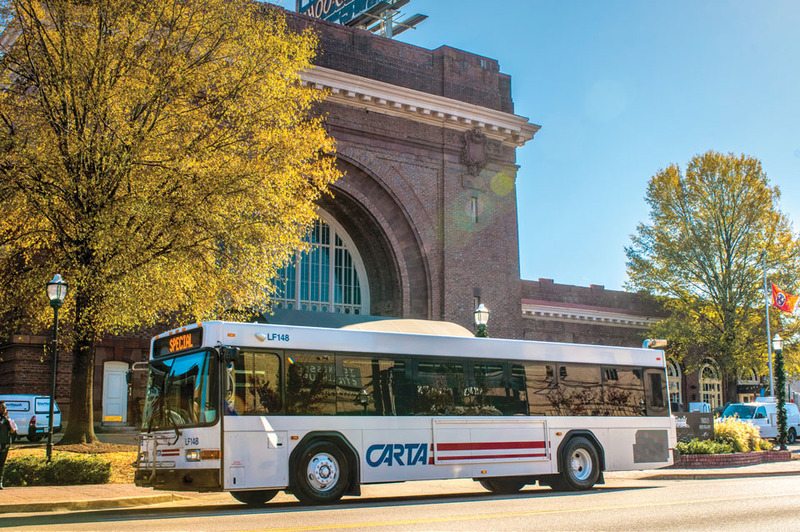 The Chattanooga Area Regional Transportation Authority (CARTA) was formed on January 28, 1973 after the local governments of the City of Chattanooga and Hamilton County purchased the assets of Southern Coach Lines. Public transportation had existed in the city since 1875 when horse-drawn trolley cars first began shuttling people around the area. Electric streetcars later replaced the trolleys and were themselves replaced by motor buses. The evolution of those entities into CARTA has resulted in a modern, economical alternative to private automobiles that has helped ease traffic congestion around the city and reduce the amount of hydrocarbons emitted into its air. CARTA today operates as a quasi-governmental entity overseen by an eleven-member Board of Directors, 10 appointed by the City Mayor and one by the County Mayor. 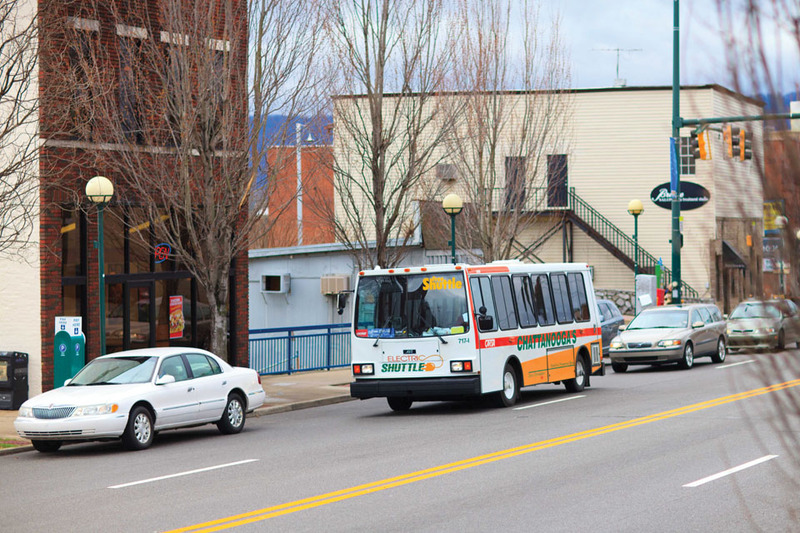 CARTA’s fixed-route service operates 17 bus routes that serve a vast part of Chattanooga. Included in the system are three neighborhood loops serving the Eastdale, East Brainerd and North Brainerd communities. Transit riders can also travel from historic St. Elmo at the foot of Lookout Mountain and the south side to the North Shore and Hixson. Service also extends to Hamilton Place Mall and Enterprise South Industrial Park, as well as areas in between. CARTA also provides service to several of Chattanooga’s higher education institutions, including Chattanooga State Community College, Virginia College, Chattanooga College, Miller Motte Technical College, and the University of Tennessee at Chattanooga. A convenient and colorful garage provides a portion of the 4,300 parking spaces overseen by CARTA through the Chattanooga Parking Authority. In its Transit Savings Report, the American Public Transportation Association (APTA) estimated that individuals in a two-person household can save, on the average, more than $9,312 annually by downsizing to a single car. In addition to the out-of-pocket savings, public transportation has a very beneficial effect on the air quality in local communities as buses reduce the number of private automobiles on city streets. CARTA makes the alternative even more attractive. All CARTA buses are equipped with free Wi-Fi so transit riders may enjoy the benefits of stress-free travel while remaining connected via their mobile devices during the commute. CARTA is also proud to play a role in showcasing one of Chattanooga’s premier tourist attractions. 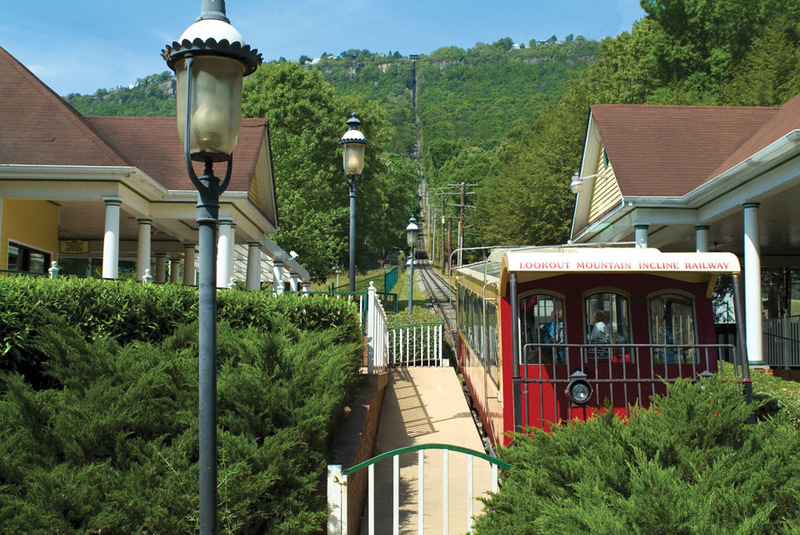 The Authority owns and operates the Lookout Mountain Incline Railway, the trolley-style cars that take visitors up a 72.7 percent grade to the top of historic Lookout Mountain. CARTA is the parent organization of the Chattanooga Parking Authority (CPA). 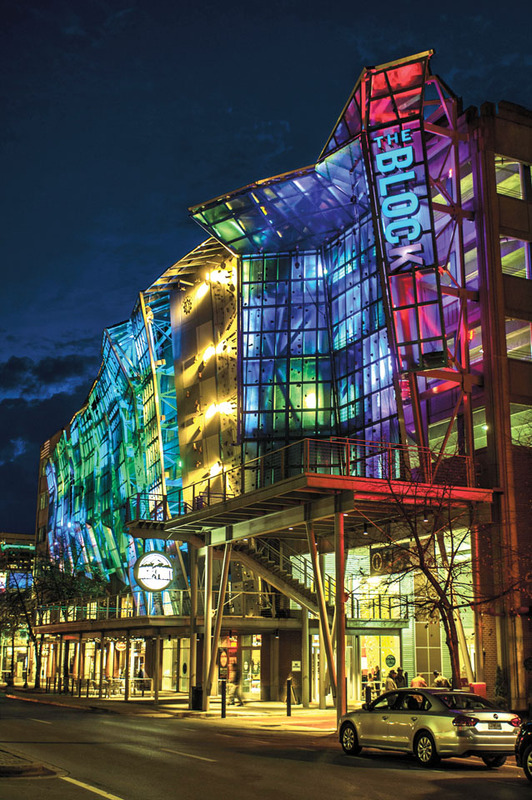 The CPA is responsible for the operations of more than 4,300 parking spaces in various locations in the immediate proximity of downtown Chattanooga. The revenue generated from these public parking spaces helps CARTA operate and maintain the free downtown Electric Shuttle and the parking infrastructure. ▲ Fixed-route buses include access to many of the city’s higher education institutions, neighborhoods and businesses. CARTA has been a pioneer for more than 25 years in the development and implementation of electric vehicle technology. The Authority created one of the first and largest all-electric downtown shuttle programs providing zero emission service. More recently, through funding and partnership with the Tennessee Valley Authority (TVA), CARTA has installed 56 electric vehicle charging units across 21 site locations throughout the greater Chattanooga area. This strategically placed infrastructure will make it easier and more economical to support roadway users who wish to use electricity as transportation fuel and support the development of electric car sharing opportunities. In keeping with CARTA and TVA’s commitment to the environment, complimentary solar installations, which harness renewable solar power, have been installed as well. These installations will increase the amount of renewable energy on the grid by selling the energy generated to TVA. Through this project, CARTA’s partner, Green Commuter, has launched a new all-electric public car share system with 20 Nissan LEAF vehicles. This program provides first and last mile connectivity to CARTA’s fixed route services to which the charging locations are connected. The Lookout Mountain Incline Railway provides a breath-taking ride and scenic view from atop Lookout Mountain. Coming in 2017 is another landmark in the Authority’s history. In the next exciting phase of CARTA’s electric vehicle program, the Authority will receive the first three of six all-electric 35-foot transit buses with inductive charging. In addition, CARTA has initiated the Chattanooga Multimodal Transportation Center Study (MTCS), the goal of which is to create a new transportation center and gateway for the Chattanooga metropolitan area. The new center will provide personal transportation choices, enhance the image and effectiveness of public transportation, and serve as a catalyst for economic development. CARTA can boast of having an all-electric downtown shuttle system with zero emission. 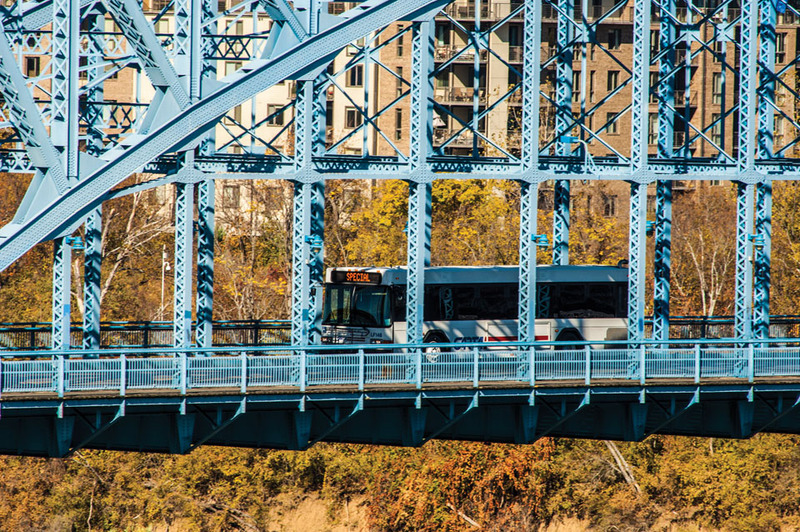 These and other programs are in keeping with CARTA’s dedication to bringing the finest, most up-to-date public transportation services to Chattanooga, the fourth largest city in the state. Each year, more than three million passengers take advantage of CARTA’s services for their transportation needs in the metro area. 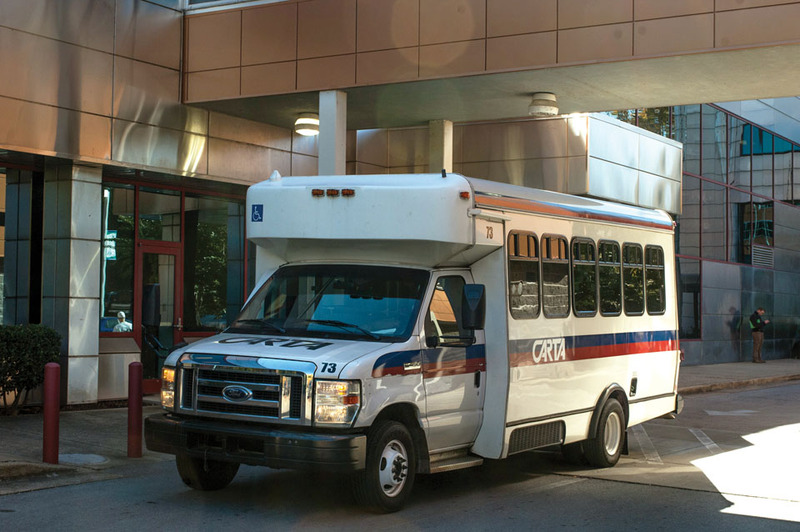 CARTA touches people’s lives through traditional transit as well as shuttle services, paratransit, the Incline Railway, and parking. The Authority is an integral part of the fabric of the community and is constantly striving to enhance the quality of life for people, businesses, and visitors. CARTA’s multi-faceted services are part of the Authority’s ongoing commitment to the community it is proud to serve. Each of the Authority’s 180 full-time and 35 part-time employees strive to be active partners in the Chattanooga community. They selflessly donate time, talent, and financial contributions to various organizations and agencies in the local area that help improve the quality of life in Chattanooga.